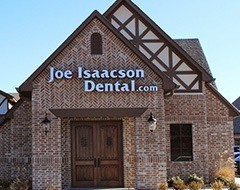 Welcome to Joe Isaacson Dental! Simply put, we’re committed to providing a different kind of oral healthcare that puts your needs, goals, and preferences front and center. 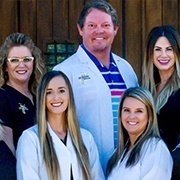 Dr. Isaacson has been practicing right here in Oklahoma City since 1993, and he goes out of his way to provide comfortable, modern dentistry that exceeds expectations and leaves patients with plenty of new reasons to smile. Whether you’re seeking family-friendly care for loved ones or a comprehensive, painstakingly personalized smile makeover, don’t hesitate to turn to our team for help. 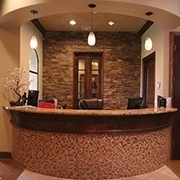 Would you like to learn more about our dental office and what makes us stand out in the best way? Keep reading below, and don’t hesitate to contact us if you’d like to go ahead and schedule a first visit. With over 25 years in business so far, Dr. Isaacson is honored to have such a large and dedicated base of patients from all over OKC and surrounding communities. We prioritize proven quality and genuinely relaxing care in every aspect of our approach, and that dedication is crystal-clear in the reviews we receive. If you’re brand-new to our website, we’d love for you to hear about us directly from the people who matter most! Your dental implant or cosmetic consultation is free! Visiting a new dental practice for the first time can be an intimidating experience, which is exactly why our team would love to make this appointment more enjoyable by offering a dedicated initial examination at NO charge. This way, you can become accustomed with our office atmosphere, Dr. Isaacson’s personalized approach, and the friendly faces of our own team in a decidedly low-stress setting – no wallet required. We look forward to earning your trust and hopefully building a relationship that will last for years to come. At Joe Isaacson Dental, we want to make the payment process easy and worry-free for our patients. 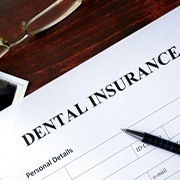 That’s why our team members will work closely with you to help you navigate the particular details of any dental insurance coverage, filing claims on your behalf and using our tried-and-true knowledge of the system to maximize deserved reimbursements. No insurance? Don’t worry – affordable, flexible financing is also available upon request.